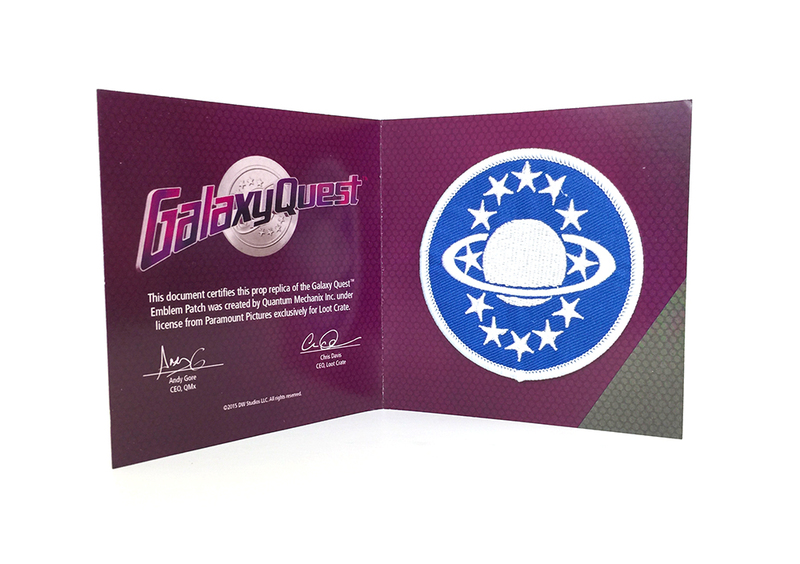 Keeping you up-to-date with the latest Galaxy Quest News! Galaxy Quest my once again be comming to the small screen in our homes! For over a year we've been waiting on the edge of our seats for hope that the Quest will go on and according to The Hollywood Reporter and Slashfilm it will go on! It seems like we may have a board game comming soon! You can wach the podcast talk about it in this short podcast. 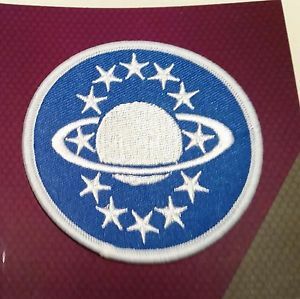 I got some Loot Crate patches from Ebay, these are closer to the original in size than the other non-licensed patches, but still not quite accurate. The color on the originals is a grey-silverish instead of a white color, and has a higher quality stiching. Even with those minor faults it is still a licensed item. I hope your personal lives have been going well. I know it’s been a bit rough the past few months with the passing of Leonard Nimoy and Alan Rickman. I’m sure most of you are also Star Trek fans and are excited with the idea of the new Star Trek TV show that has been announced by CBS just in time for the shows 50th anniversary! This out-of-the-blue announcement came yesterday from multiple sources, and we've seemed to track all their sourcing back to an article on variety. 'Galaxy Quest' TV Series in the Works All the articles break down some general history of the 1999 movie. At this time no official statement from Paramount has been made. According to ScienceFiction.com there will be a new comic book series based upon Galaxy Quest once again!! This will be our chance to once again show our support for Galaxy Quest!! 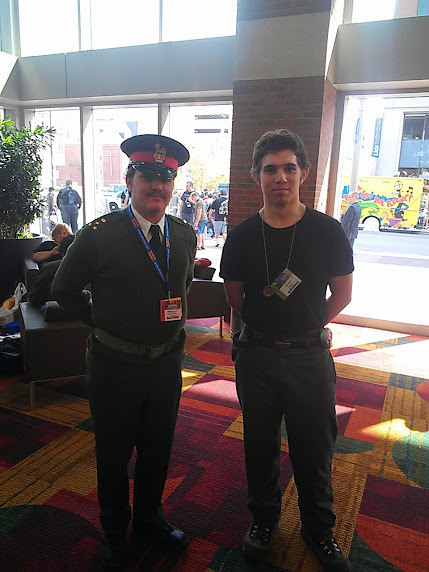 Indiana's First ComicCon and PopCon! Indiana is long overdue for a comic convention but have no fear- this weekend March 14-16 the Indianapolis Convention Center will be hosting one! 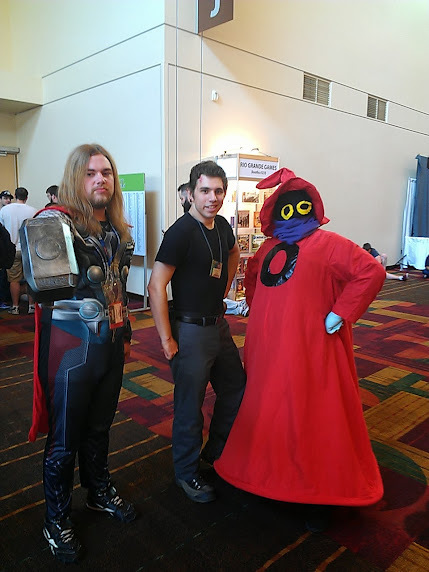 With this being the first comic con in Indy, it's hard to know exactly what is going to happen, But regardless I'm thrilled and excited especially after attending last year's GenCon. Comic Con! This weekend in indy! I'll post more about it later today, and I'll even have a surprise this weekend for you guys! I am so excited today because I'm going to GenCon Indy today! I've got a pretty good costume right now, but I cant wait till I get my jacket finished! I'll update with some pictures later!